Enhance student work, displays, crafts or use as awards. 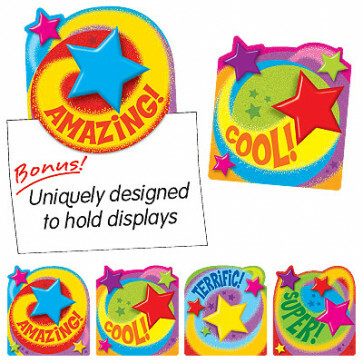 Praise Words 'n Stars Accents are uniquely designed to hold work and are reusable too! An absolute must for your classroom.